The planet Gradius, a peaceful Earth-like world, is now under an all-out space attack from its old enemies, beings from the subspace star cluster of Bacterion. 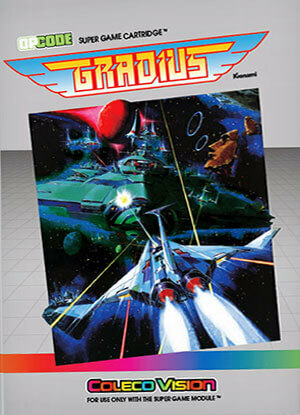 The people of Gradius are in danger of being completely destroyed by the amoeboid Bacterions. To save them, you have just launched the prototype hyperspace fighter Vic Viper. The entire galaxy awaits your duel to the death with the evil Bacterions. Your objective is the Bacterion superfortress, Xaerous. To reach this, you must steam the enemy power capsules along your route and boost the Vic Viper’s hyper-powers.